Lacuna Loft is a specialized web-based clearinghouse of valuable tools and resources for young adults with cancer and their care providers offering everything from original articles on survivorship, low-key Do-It-Yourself activities, exercise, personal stories, tips for the kitchen, alternatives to late nights, cancer life hacks, and much more allow young adults to adapt and thrive in their new, slower day-to-day life. 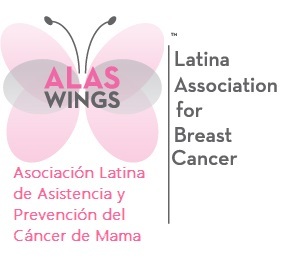 ALAS-WINGS is a nonprofit organization that is dedicated to empowering Hispanic women about breast cancer awareness through education and support for all women faced with breast cancer diagnosis. The Justin Wynn Leadership Academy (JWLA) is a collaborative leadership and community improvement program which partners with many organizations around the Chicago-land area. The Academy brings together Evanston’s young people who have the potential to be tomorrow’s leaders. Through a carefully crafted process of leadership development and participation in community service, their potential is transformed and mobilized to inspire the world. ﻿Evanston Imprintables is an awesome, locally owned and run apparel print shop in Evanston, Illinois. They help us design and print all of our awesome hats, short & long sleeve t-shirts and other swag. Check them out in our store!